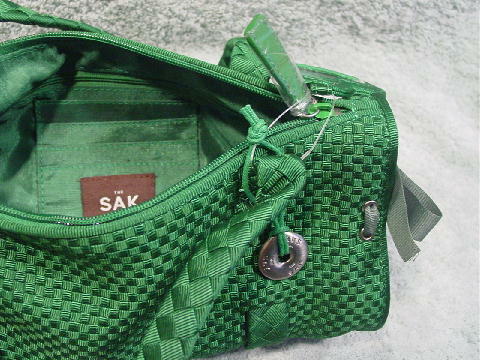 This never-used bright forest green fabric purse is by The SAK. 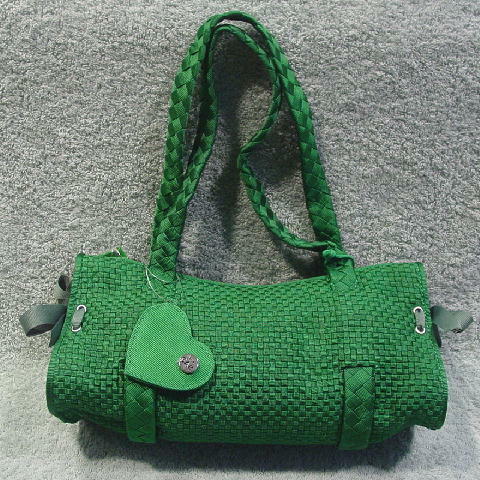 It has a small elevated woven pattern with the 20 3/4" by 3/4" straps having a larger woven pattern. The sides have green grosgrain ribbon accent bows. 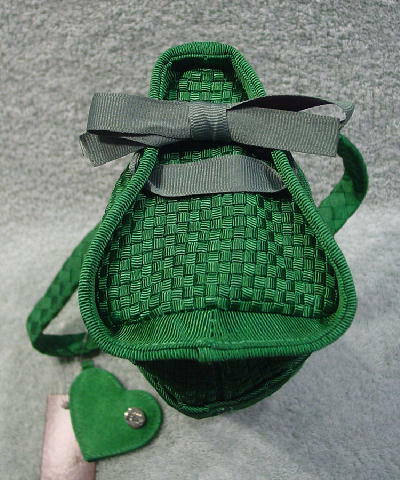 Attached to one of the handles is a silver-tone metal (lifesaver-shaped) ornament with The SAK etched on it and a heart-shaped mirror covered in green fabric with a circular silver-tone ornament with The SAK etched on it. The handles have an 8 1/8" drop. The manufacturer's tag is also attached. 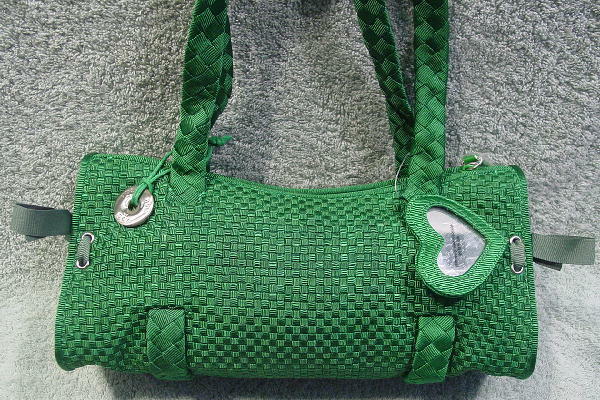 There is a top side to side green zipper and the interior lining is in green fabric with two large pockets on one side and the other side has four stacked smaller pockets with a brown and white logo tag on the bottom one.